Purported to have been a 'pro idol' since long ago, we have 'Momochi' Tsugunaga Momoko, who is flourishing in the variety programme circuit! Currently acting as Playing Manager for Country Girls, we talked with Momochi about 'Idol theories'! 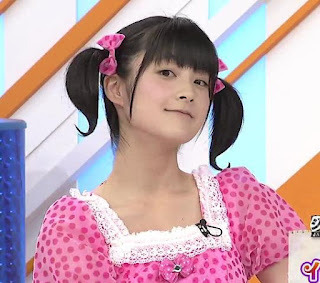 Well then, let's take a peek into Momochi's idol soul~! Well then, we now have the 'Pro idol who is the pride of H!P'. Many H!P members have made an appearance in this corner. A great number of wise words have been expressed here. Thank you very much. In Momochi's case, anything that escapes my lips are wise words. No doubt about that (laughs). And with that said, talking about Tsugunaga-san, you stopped with those characteristic twintails, the 'Momochi Musubi', that you had been continuing on with for the longest time. Quite some time has passed, hasn't it? It's been just about one year. But I don't think that my core has actually changed. Though lots of people around me have often been saying that I've changed or gotten prettier. Yup. Indeed (laughs). But if we count from Berryz Kobo who went into a hiatus in March last year, it's been 12 years, and if we count from your time as the H!P Kids, you've been an idol for 14 years. 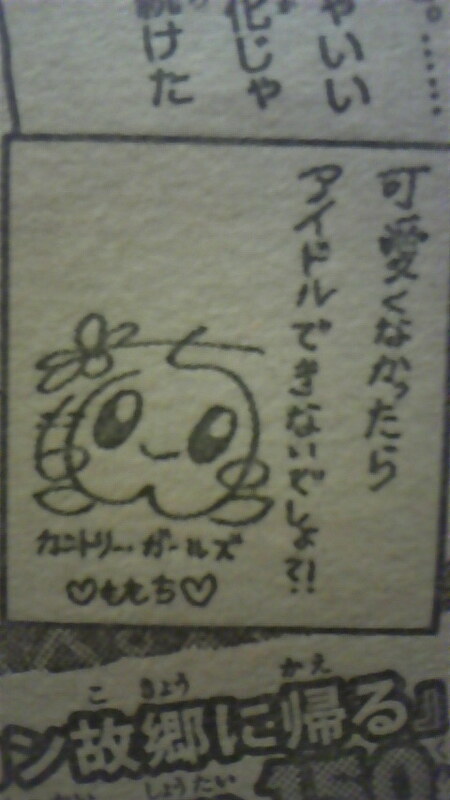 Tsugunaga-san, you've continued to be called a pro idol since back then. It makes me happy. But I wonder how many of those fans remain, the ones who said that back then (laughs). That's sad (laughs). But how about it? What were you thinking back then, about being an idol? Ever since then, you've been truly wonderful. Tsugunaga-san's name became known throughout the nation through 2011's 'First Sports Day Full of Non-AKB48' hosted by 'MechaIke'. It was a sports day showdown of 8 idol groups. In that programme, you were called the 'ira-dol', as you were an idol who irritated those around you. I think that it changed my life. Berryz Kobo were talking about doing our best with this chance that had come around! And what's more, on that day, I was a bit feverish. On that programme, you got involved with Kato Kouji-san, persistently going 'Pain, pain, fly away to Kato-san~'. That took guts! (laughs) But now, I occasionally get to work together with Kato-san, and he tells me 'You were awesome back then'. It's an honour that something that happened back then is still a topic of discussion even now. I'm glad that I built up my courage back then. Well, thanks to the fever, I was pretty pumped up though (laughs). And your life changed from then onwards? That's right. I really had no experience with variety programme appearances. That programme was the chance for me to start from zero. And I think that among the strengths of idols, one of them is that we can appear in all sorts of genres. To put it another way, as an idol, I can be forgiven for lots of things because I'm an idol. So since then, I've been thinking that it's great that I'm an idol. And then, last year in March, after Berryz Kobo's last concert, you started acting as Playing manager for 'Country Girls'. You really did want to continue on as an idol. I'm an idol, aren't I? The members of Berryz Kobo talked about our futures, but I said that I wanted to continue on as an idol. Or rather, there's nothing else that I can do, it's what I'm most suited to. Besides, I strongly feel that it's better to be in a group than solo. So even in Country Girls, I'm happy. For example, if I suggest to the members that they do something in a different way, they'll go even beyond that. It's fun to watch that growth! Recently, I've been calling them 'my girls'. Like you're a parent, or an auntie? Oh, stop that! I'm still 24! Still young, aren't you (laughs). For Tsugunaga-san, with your 14 years of idol experience, how do you think that idols ought to be? They should engage in friendly competition, and face hardships. The sight of them struggling to do their best makes you want to cheer them on... At least, that's what I feel is the image of idols today, but I don't really want to show myself struggling, I'd like to pep people up by showing them a brilliant performance on-stage. Since watching Morning Musume。-san made me want to become an idol. They were nothing but brilliant. That is my idea of the idol ideal. And because of that, I don't really want to waver from that. What do you think is a requirement for idols? Oh! Is that in terms of charm? Or looks? Both. That said, if you aren't cute, you wouldn't be able to be an idol, would you? Is that so? (laughs) There might be idols who say 'I'm not cute at all though......' But if you don't think that you yourself are 'cute', you absolutely wouldn't have started on this line of work! Thus, have a bit of confidence, don't you want to be spoiled? I see (laughs). So 'Giving smiles to everyone' isn't true then? I've thought about that as well, but being told that I'm cute gives me an even greater kick. I'm sure that's the case! Giving smiles to everyone, that's just acting all goody-goody! (laughs) And thus, I wonder about idols who are told that they're cute, and respond by saying 'That's not the case'. Those words make it seem like you're questioning your fans' tastes. You're just being too humble! And so, 'Idols are cute, and should do their best in order to be spoiled'? What wonderful fans. 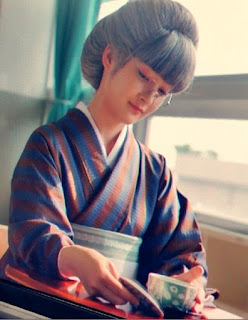 And finally, what is an 'idol' when it comes to Tsugunaga Momoko? It's my life. I've spent over half my life as an idol. I'd like to be an idol as long as I'm allowed to. But it's unfair. With female idols, we're immediately said to be 'deteriorating' ... Well, while deteriorating is a fine story, I'm not deteriorating, I'd like to continue evolving. Finally, what is an 'idol' to Sugaya Risako? Despite doing things so freely, quite a number of girls have told me that 'Risako-chan is what led me to aim to become an idol'. It may be normal, but I think that 'Idols provide dreams'. I've been doing things freely for ten years. Well then, finally, what is an idol to Shimizu Saki? Ohh! That has some impact to it... And that's what you've been giving the fans for ten years. Yup. And I enjoy it myself! (Grinning) As I fan, I love Berryz too! Well then, finally. What is an idol to Sayashi Riho? Idols are normal humans. By ourselves, we can't do anything. If there weren't people cheering us on, we wouldn't be able to stand on-stage. The members of staff and the fans prepare a brilliant place for us. So idols are able to grow there. So I think that idols should be grateful to everyone. Well then, finally... Actually, we asked you when you appeared in March 2013... But what is an idol to Fukuda Kanon? At the time, I said that 'An idol is a place where you can demonstrate your own wild ideas'. Well remembered! Is it still the same even now? Well then, finally, what is an 'idol' to Hamaura Ayano? Idols make people all around the world smile. I'd like to be able to make people who don't know me and are just passing by stop in their tracks, and lift their spirits with a smile!